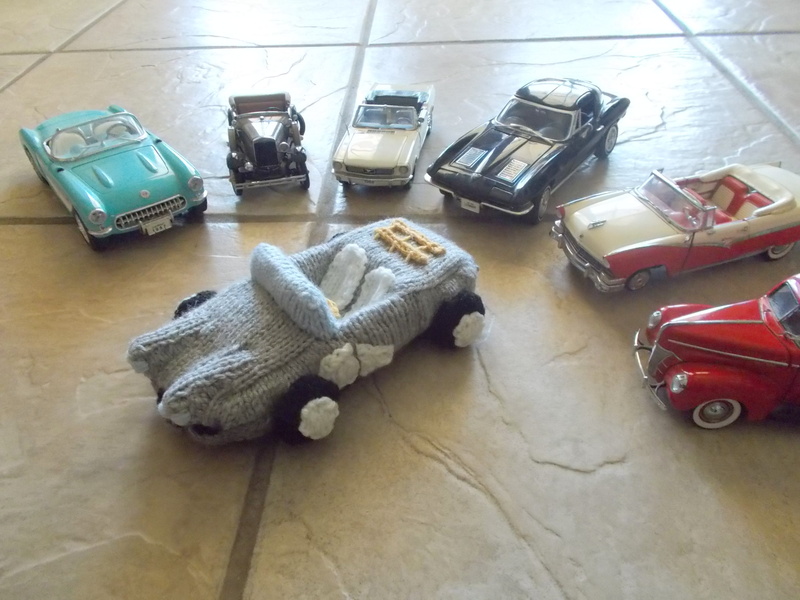 One of my favorite things to knit are vehicles. I think I’ve always had something of a fascination with classic cars – many of them were truly works of art. I think they must have had actual designers that worked on cars in those days … people who really took an interest in how they looked. Most cars these days will get you where you’re going, but they aren’t going to win any beauty contests! 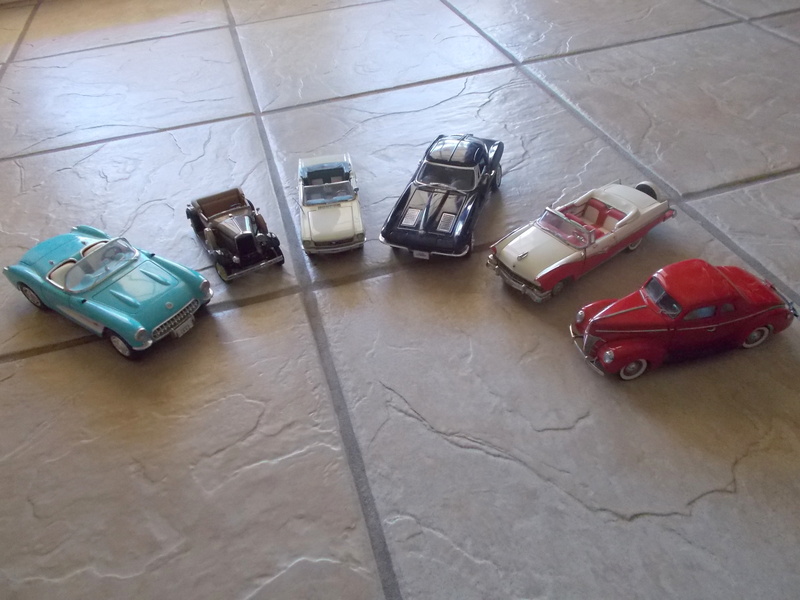 I borrowed a bunch of large die-cast vehicles from a friend of mine to use as inspiration for my toys. Aren’t they just wonderful?! 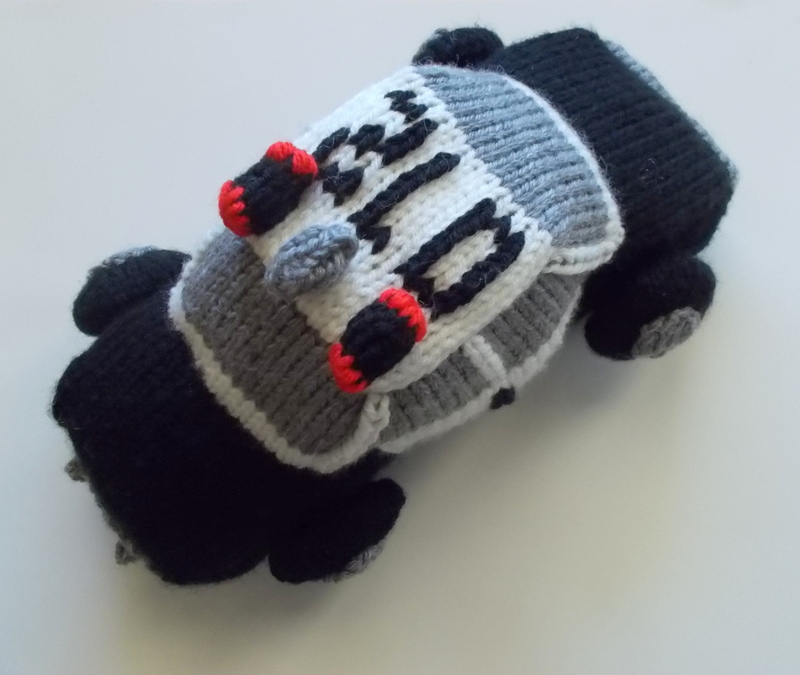 About a month back, I designed a classic Chevy Corvette, like the kind they used in the TV show “Route 66” … I haven’t decided whether I’ll sell the model yet, since it was quite difficult to knit, but I thought you might like to see some of my more intricate vehicle work. 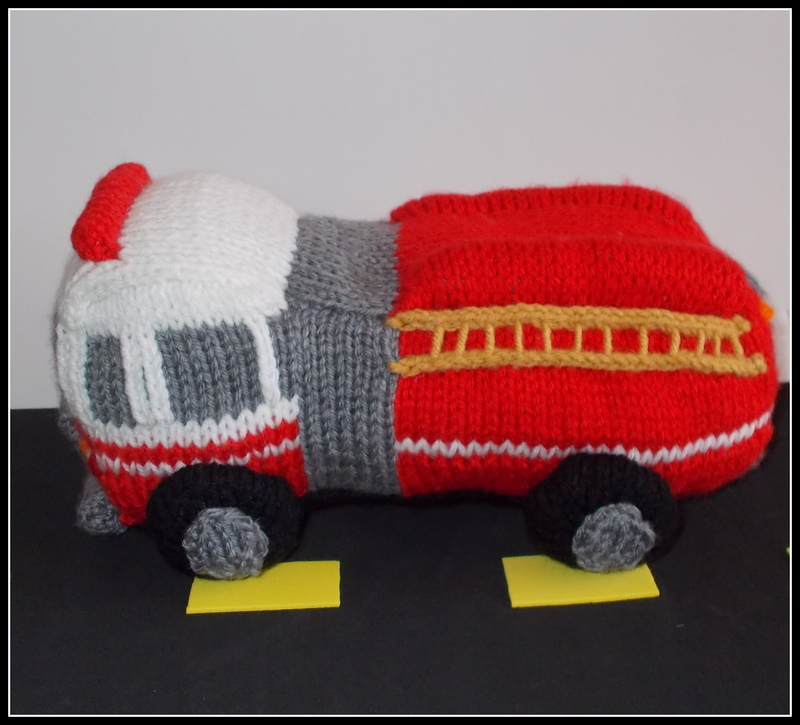 I am working on some more vehicle design for the shop … and this week’s free pattern will be a vehicle. That’s all I’ll say for now! Surprises are fun!